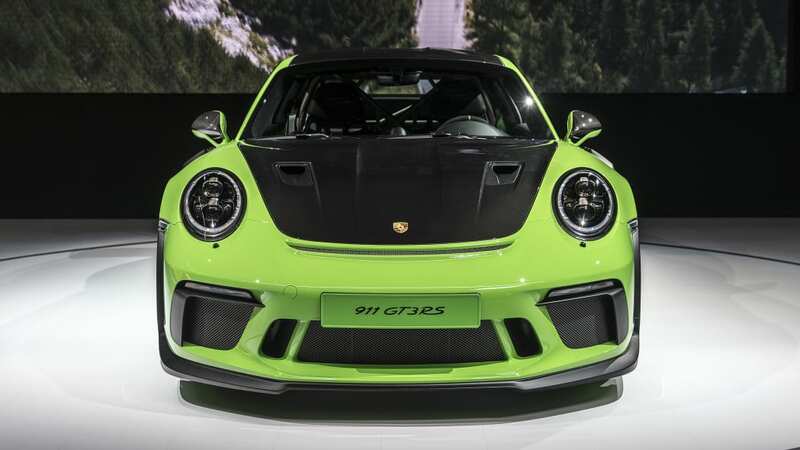 NEW YORK — The 2019 Porsche 911 GT3 RS made its debut just a few weeks ago at the 2018 Geneva Motor Show. 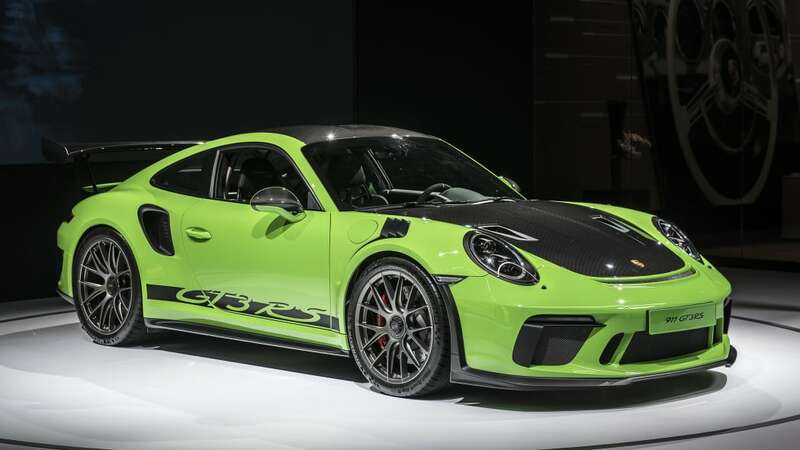 It's faster and more powerful than ever before thanks to extensive use of carbon fiber and a 520-horsepower 4.0-liter flat-six screamer mounted out back. 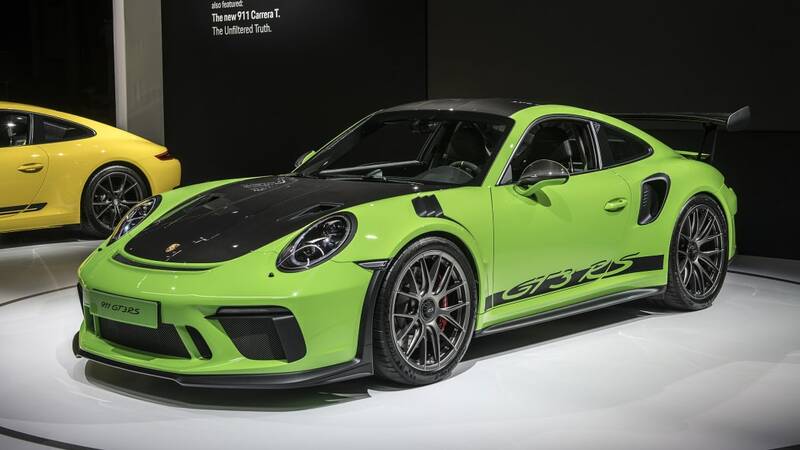 For the 2018 New York Auto Show, Porsche's GT division is rolling out the GT3 RS Weissach Package, an $18,000 carbon-fiber weight-loss program. 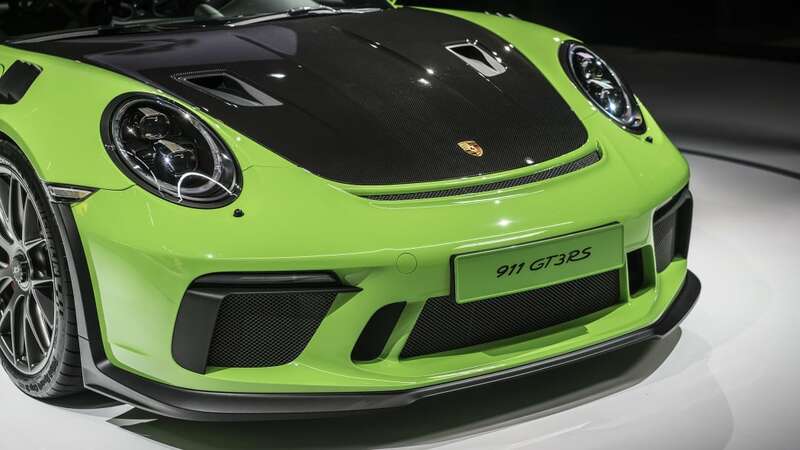 This is the first time the Weissach Package has been available on a 911 GT3 RS. 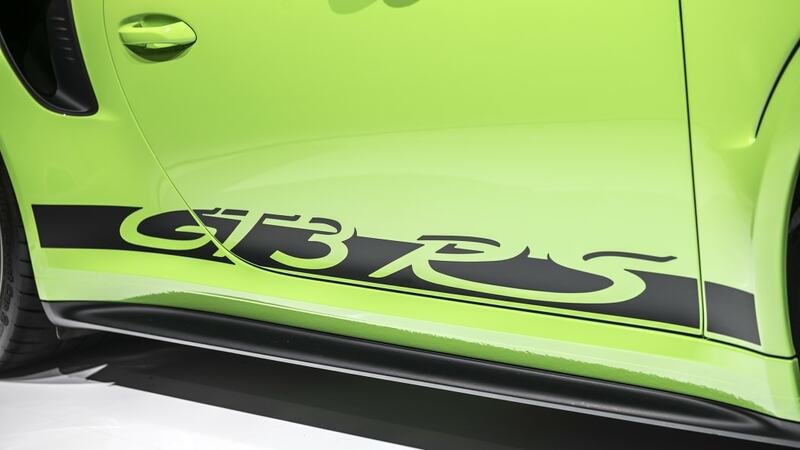 The Weissach name really made its mark as an eye-watering $84,000 option on the Porsche 918 Spyder. 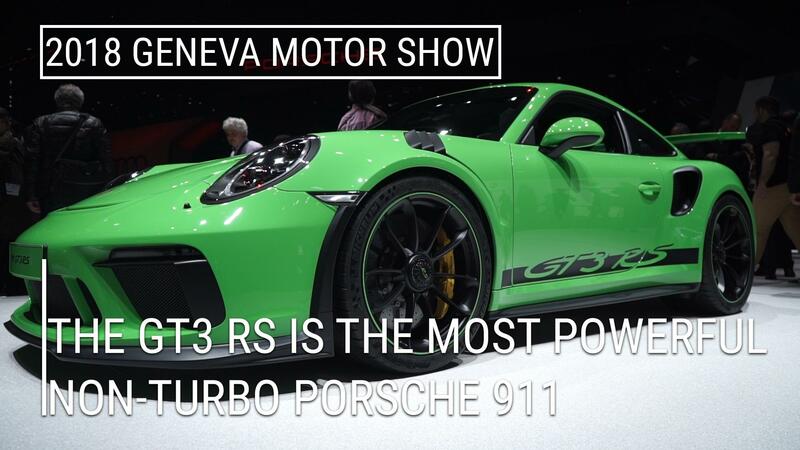 The diet helped the 918 go from 0 to 60 mph in just 2.6 seconds and 124 mph in just 7.2 seconds. 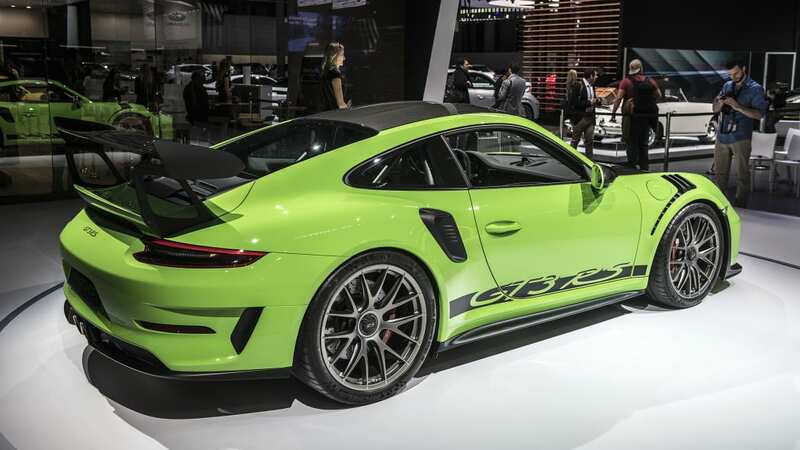 Porsche hasn't announced performance figures for the GT3 RS with the Weissach Package, but expect 0-60 times to fall below 3 seconds. 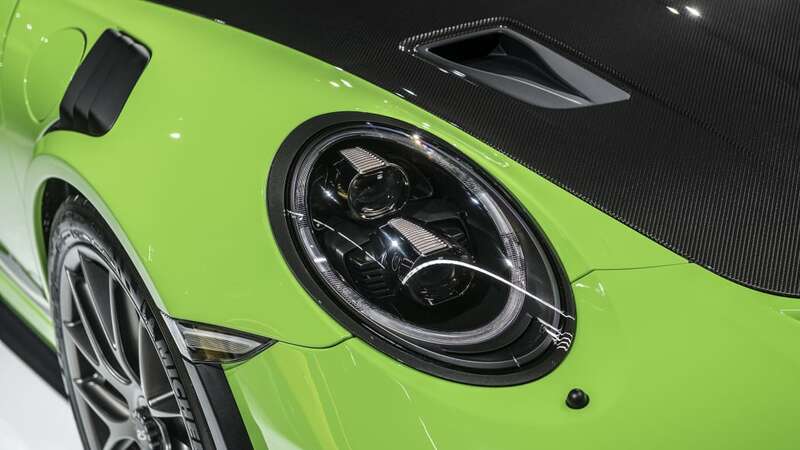 Visually, the Weissach Package makes itself known with copious amounts of carbon fiber. 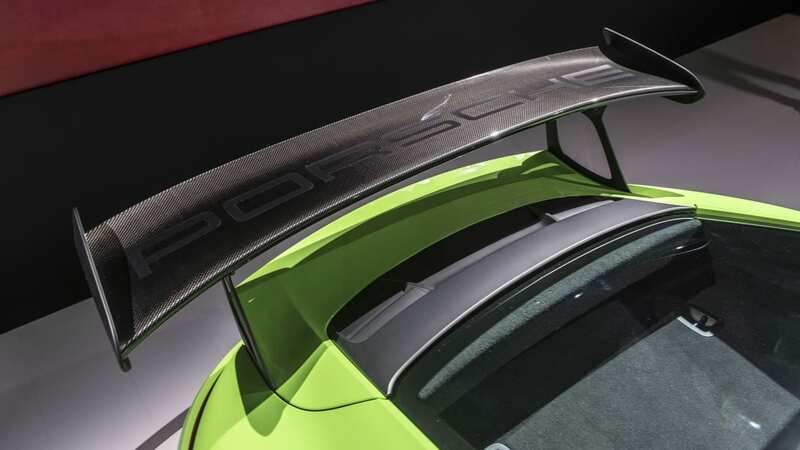 The hood, roof, wing and trunk lid are all naked carbon. 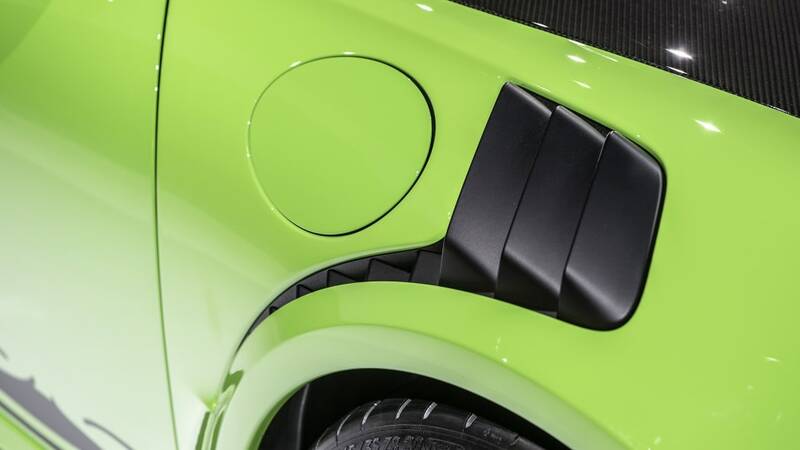 The wing itself features the Porsche logo across its width. 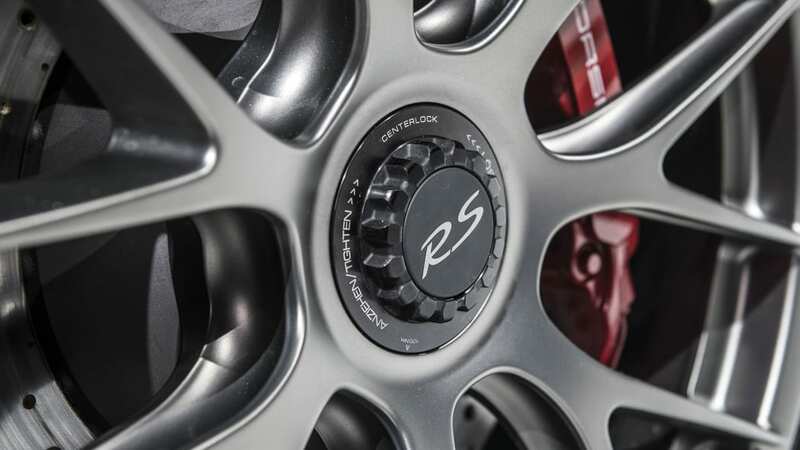 Not that it needs it, but optional $13,000 forged-magnesium wheels further help the car stand out. Inside, the Weissach Package adds a logo on the headrests and a badge on the dashboard. It's not just for show. 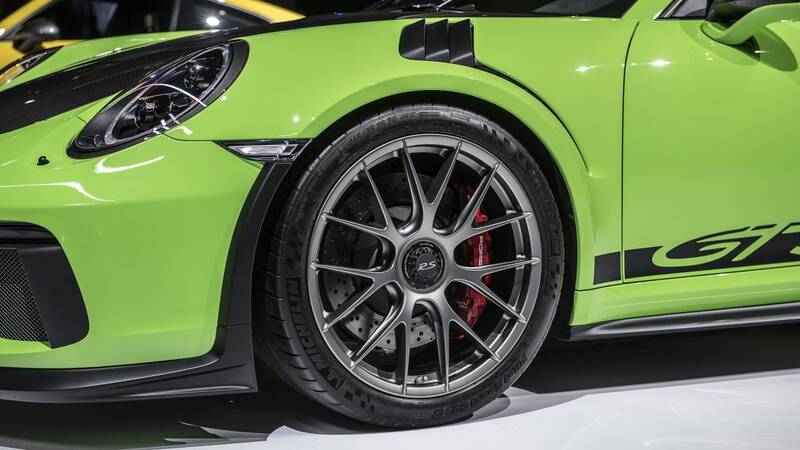 All in, the Weissach Package and magnesium wheels drop the GT3 RS' weight to just 3,153 pounds. 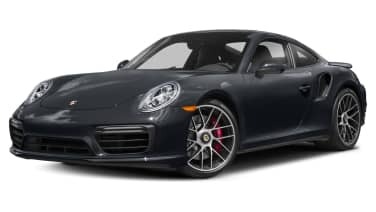 The carbon fiber adds up; 1.1 pounds from the roof, 11.9 pounds from carbon-fiber stabilizer bars and suspension coupling rods, and 0.5 pounds from carbon-fiber steering wheel and shift paddles. The wheels save 25 pounds compared to an aluminum set. 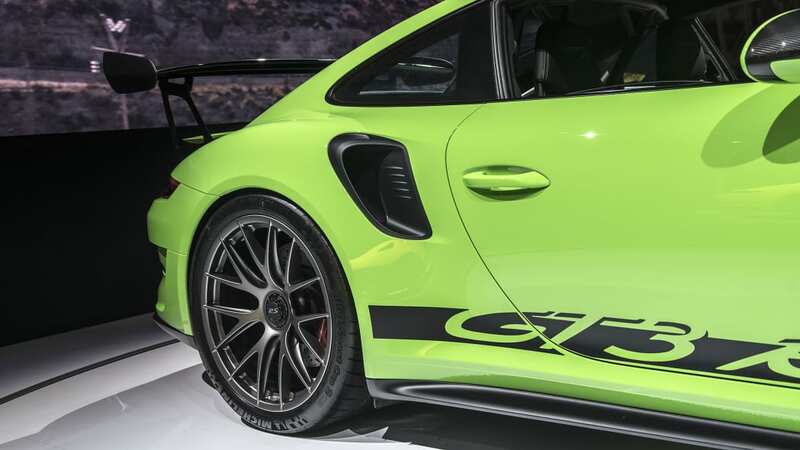 All the rest of the GT3 RS parts carry over — 4.0-liter flat-six, seven-speed PDK, NACA ducts in the front trunk lid, carbon-fiber bucket seats and more. 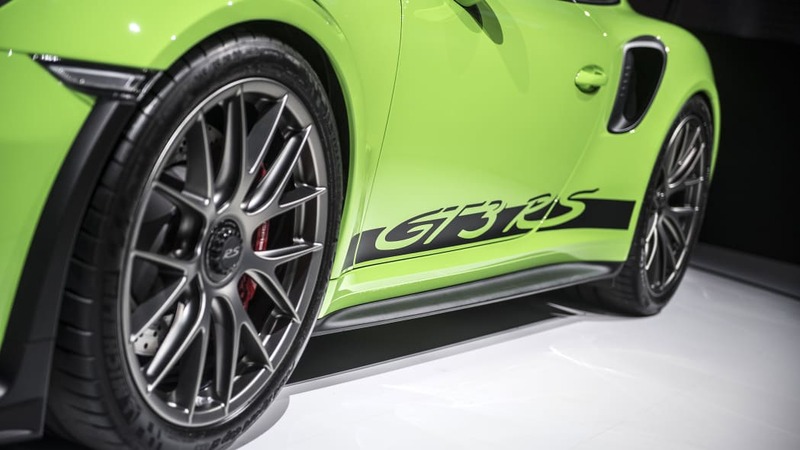 The GT3 RS can be yours for the starting price of just $188,550. 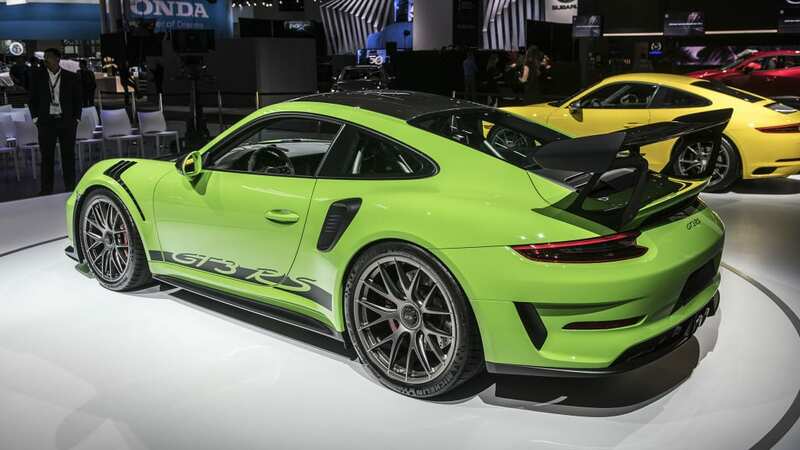 That's of course before any options, including the new Weissach Package or your special paint-to-match finish.